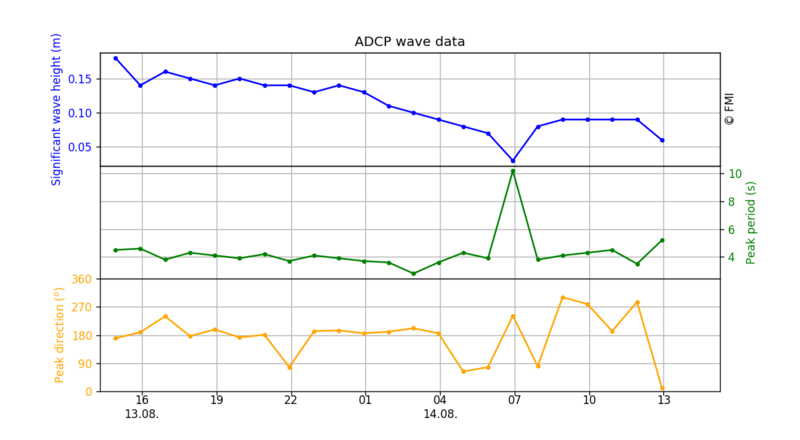 Wave data measured with the ADCP equipment. The direction given is the direction from where the waves come. For more wave information on the seas around Finland, see the FMI wave observations and forecasts: http://en.ilmatieteenlaitos.fi/wave-height.